LoveNokia | Latest News and Information about Nokia Mobile: Countdown to Nokia Launch Event!!! Countdown to Nokia Launch Event!!! Hey, Nokia Fans! 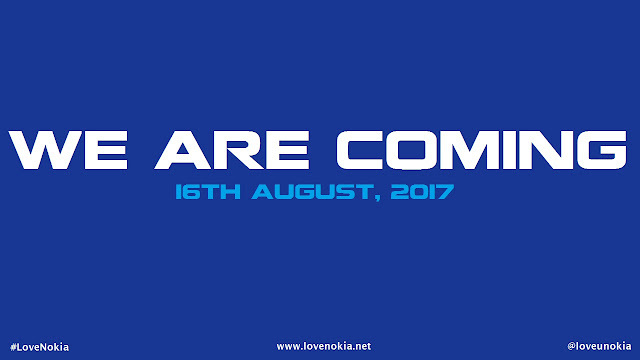 I know you are very excited and eagerly waiting for the upcoming Nokia Launch Event on 16th August in London. Nokia is expected to launch Nokia 8 which will be their 1st Flagship Phone running on Android. More details of Nokia 8 can be found here. An Ultra Budget Android smartphone in the form of Nokia 2, is also expected to be launched at the event. The sketch of the phone was shared by nokibar few weeks ago. 16th August is less than 10 Days away and so I thought of setting up a Countdown Timer so that we all can keep a track of the Days/Time remaining for the Nokia Launch Event.